This is not the exact statue that was found, however it was one like it. This is a picture of a Pharaoh Akhenaten so you can get an idea of what the statue may have looked like. It was found in a trash can close to the Egyptian Museum, obviously something a looter thought was worthless. This is a shame. 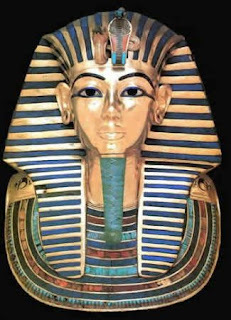 The very people in Egypt that know of these artifacts significance and priceless worth, steal from the museum. There is now a plan for UN military to protect the pyramids in Giza. I believe this is directly because of this incident. 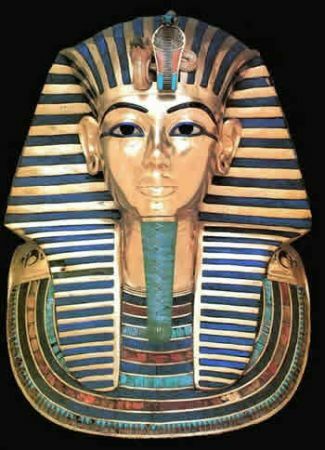 I think the boy needs to be investigated thoroughly and of course you can't have a ant-regime protest/riot in Egypt without someone getting the bright idea of robbing the priceless artifacts. Now some of these artifacts may never be seen again by future generations because of the stupidity of people that want to make a quick buck off of the already bad situation. What is going on in Egypt is really sad. I hope the people can really take control through the next election and not leave it up to the globalists. It already looks like the Muslim Brotherhood could be in charge via one candidate or another. Israel isn't going to like this very much. This also could be the start of something very bad. Perhaps the start of the first major war of the 21st century? It very well could be. North Korea isn't talked about anymore, and I don't believe it should be put out of our minds. I have a feeling this Egypt thing though has a very direct agenda to change the power structure in the East. I guess only time will tell. Hopefully we DON'T have another World War over this. However that is very possible. Iran is already doing tactical military drills, and moving cruiser ships. This could get very ugly. Expect gasoline prices to go through the roof because the price of oil per barrel will sky-rocket.